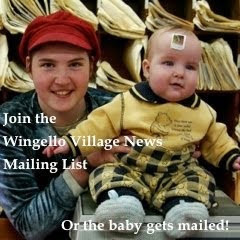 The latest Wingello Village News is out, a little late. The delay is due to a cowardly, vicious, bullying internet based attack on the store and our staff. A person decided they would attack the store by getting friends to post fake nasty 1 star reviews on our Facebook Page and when we shut that down attacked our Google Maps page. We stopped the attacks the best Wingello Way - privately and through the perpetrator's family who were shocked at the stupidity, however we have to deal with the fake 1 star reviews. The only way to counteract this is with honest reviews that reflect the increasing business we are getting from word of mouth. 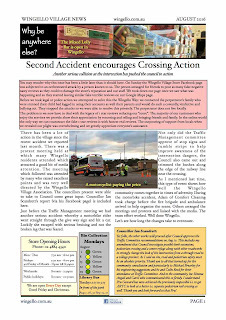 Another serious accident at the railway crossing intersection added impetus to the council to make a move. Wingello Store suffers attack by cowardly internet trolls but community responds marvellously. Dogs attack and kill Wingello Alpacas.